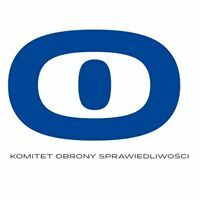 About us – Stowarzyszenie Prokuratorów "Lex super omnia"
Association of Prosecutors ‘Lex super omnia’ was set up on January 4, 2017. The Association primary objective is to make the Prosecution Service in Poland as a part of the judiciary, a constitutional authority. Furthermore, its mission is to ensure that democratic principles and the rule of law are respected and that prosecutors are independent and entirely autonomous in decisions which they make. The Association is committed to prevention of any acts of violation of the prosecutors’ independence. Its mission is also to take action to guarantee that prosecutors enjoy decent work conditions. The Association takes steps to safeguard the rights of those prosecutors, who due to arbitrary and ambiguous reasons are subject to disciplinary proceedings or who have been seconded to the lower-level prosecution units for no rationale. The Association cooperates with various national and foreign law organizations. The President of the Association Board is prosecutor Krzysztof Parchimowicz, the Vice-Presidents of the Association Board are prosecutors Katarzyna Kwiatkowska and Dariusz Korneluk. We encourage you to contact our Association (email: lexsuperomnia@gmail.com).